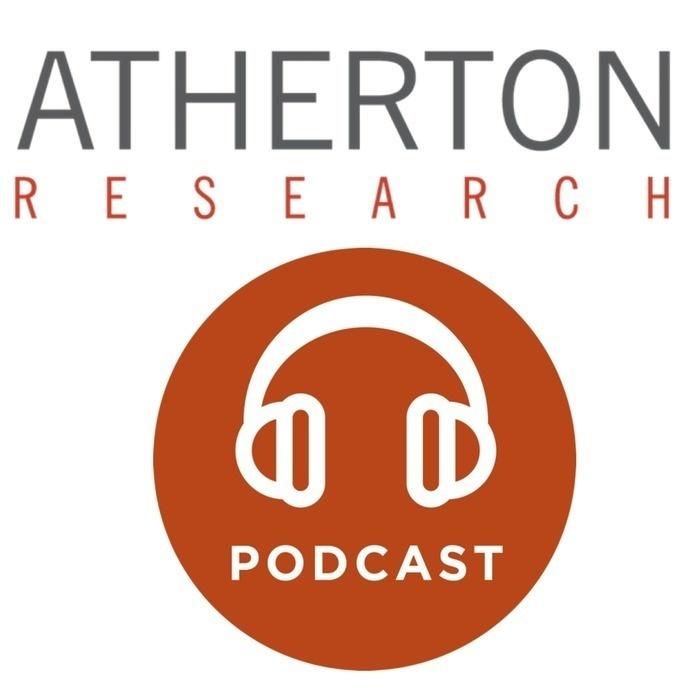 This Week in Mobile is a weekly podcast produced by Atherton Research where we bring you up to speed on the top mobile news stories of the week. Joining me this week to discuss these top mobile news stories is tech veteran Eric Leandri, the co-founder and CEO of search-engine Qwant. Below is an edited transcript of our conversation. Jean Baptiste Su: Hello everyone and welcome to another episode of This Week In Mobile. It is Saturday, April 7th, 2018. And I'm Jean Baptiste Su, Principal Analyst at the Atherton Research and your host. And joining me today to help me review this week's top mobile news is Eric Leandri, CEO and co-founder of Qwant. Welcome to the show, Eric. Eric Leandri: Hello, happy to be here. JBS: Great. But before we start, tell us more about Qwant. EL: Qwant is a first and only search-engine but truly protects your privacy, unlike Google we don't track you. We don't track you out at all you are not the subject of your search. When you search online and we don't sell your information to anyone and we don't collect it. And Qwant is safe secure and private and the only difference between Qwant and DuckDuck for example is that we own our own infrastructure. So we guarantee everything from the firewall to your result. JBS: Awesome. Great. Let's move on with This Week In Mobile because boy was it busy and we have lots to cover. The first thing I want to talk about was about Huawei. I was in Paris last week and for the launch of their three new devices the P20, P20 Pro and Porsche Design Mate RS. And our team here in Silicon Valley got two of those devices the P20, the P20 Pro and boy, they are amazing entering smartphones and I mean they are actually so good that we think that they are the best of 2018 better than the Galaxy S9. In terms of camera, they have three cameras instead of two, a better battery life and even they have a better AI performance. I mean I think Huawei did a great job with that. The launch was in Paris were you at the launch there? EL: I was invited but I was not able to attend I went to Rome instead, for the launch of Qwant and Qwant Junior but I have seen the product. And I will certainly get a Mate, the Huawei Mate as soon as they release it. I already have the Mate 10 Porsche Design so I have two or three ideas of what their cell phone does. JBS: Right. And you've tried several, I mean you have many many different cell phones and obviously with Qwant you probably have to support all the cell phones all there in the market. EL: We have to support all of them. We have to test all of them. JBS: What's your view on the latest Android smartphones, the Galaxy S9 maybe your first impression of the P20 Pro from Huawei and the others? EL: I would say that as you try the P20 or if you try the S9 the difference would be in some features with the camera and the power of the P20 is even a little bit better than the S9. But what is very impressive here is the fact that these kind of devices are all very very high-end devices. And you are sure that you can run anything right now with that kind of devices. So the most important thing for me is the fact that in the P20 there is the Mali-G72 for GPU and for Neural Processing and what is very interesting for Qwant or for anybody on the market is the fact that you will be able to do a deep learning machine running on the cell phone. For example, you will be able to run apps like Microsoft has created an app to translate and it works on that kind of mobile directly. So you are able to use the power of the Neural Processing Unit to make it work. So that's quite fantastic. JBS: All right. And that's very different from maybe Google that is basically using AI processing but in the cloud not on the device itself. EL: The fantastic thing here is a 256 gigabyte on the mobile for the Mate RS or 512 gigabytes on mobile, GPU on the mobile and CPU on the mobile. You can do a lot of things on the mobile right now but you can't do everything so in your case you will certainly need the GPU on the cloud too but you can think that you can process your personal data on the mobile and then sent to the cloud just for very large and complicated calculations. So you can send to the cloud when you need a real power but you can, let's say, compute your own data on your mobile. That's something who will certainly change the way we see the cloud because in fact, it will be just a complement of our mobile. And if we talk in terms of mobile and we say that the only things with missing right now on the mobile from Huawei and that you can have on Samsung Knox, for example, is a stylist to be able to write directly because sometimes your finger is not good enough. But right now the speed of creating a new mobile the increase of the power of GPU and CPU on mobile are just impressive and the problem is you will need to buy a new mobile every six months. JBS: Right. Do you think that with the S9 and the P20 do you think that now Android phones have reached the level of the Apple iPhone X? Are we or perhaps did they surpass iPhone X? EL: Depends how you see it. The difference between the Apple and the others is the fact that they control everything they control the software, they control the hardware, they control the wall, everything. So, at the end of the day, when you use an Apple X or an Apple 8 you are sure that everything is quite optimized. Okay, I will not say it's the same after two years because even themselves they explain that they do strange things after two years but when it's just released everything is perfectly optimized. So, if you think about using it every time every day and during your normal hours of work it will be great with an Apple X you will have no problem at all. Then with an Android device it depends, it depends on what kind of application you install on it. It depends of the launcher, it depends of what we have done inside of the launcher for example, if your launcher as print style Google everywhere and it will try to use GPS to use information from you to collect and upload a lot of information. At the end of the day, you will need to have a cell phone with a very huge battery to grow and see that all this collect of data will goes from your cell phone to the cloud and in the other way. Let your telephone alive after one day or one day let say your full working hours that you will want to have it with you. So, yes, in terms of specification you have a 40 megapixel camera for example behind the Mate S and the 20 megapixel camera. You have a Kirin 970 who seems to be better than the E11 but at the end of the day it depends of the launcher on your Android. It depends on the apps you use, it depends how are the apps using your battery. I will say that if you want something who is perfectly optimized go to Apple, if you want to run with incredible speed sometime and with incredible capability some time like that new AI photo capabilities of the P20 or S9 then you can try Android. But today, the real problem is just based on the fact that you have a massive collection of data who can just decrease your use and your power and your capability of having as a best of your cell phone as you can have it when you just start it. JBS: Right, makes total sense. Let's move on to another Huawei news and that was quite impressive as well is that they announced their financial results for 2017. And well, aside from the fact that everything is up to the right I mean the total revenue of almost a hundred billion dollars net profits of over seven billion but what struck me was that they shipped about one hundred fifty three million smartphones that totaling over thirty six billion dollars in revenue and that's up 32% from the year before. But they did it without having any presence here in the US which is quite amazing and something that maybe you're not that familiar because Huawei's in Europe is it doesn't receive the same treatment than here in the US. Here, they're pretty much banned to do anything but still they're quite successful in the world and they've said that they're going to ship 200 million phones this year. And our estimate is that Apple will ship about 205, 210 million. Maybe this year we're going to see Huawei catching up to Apple I mean what's your view I mean knowing that at least in terms of some of the concerns that we have here in the US about Huawei. Why you or Europeans don't have the same fear about that company? EL: Well, you know, the new CEO of Huawei in the US was the former CEO of Huawei in France so I have two or three ideas of what they think because I talked to him several times. In fact, it's not that we don't have the same fear or not it's just based on the fact that we are an open market and Huawei start here with antenna for cellphones. So antennas in Europe I will say about 80% of them are provided by Huawei and now they arrive with servers and now they end up with cell phones and tablets. And so we have, let's say a different way of taking care of our security and with the National Agency for Security here in France for example they control they try to see what Huawei want to do or not because like everybody they don't want to be spy. But at the end this is an Android phone, this is a stock Android phone quite stock Android inside so that means that you can spend some time trying to see if your cell phone try to get data from you. We get for example some information that there is an app who has been pre-installed in the US and former Huawei cell phones not in the US, sorry, in China from former Huawei cell phones we should have taken some contact and information about you. But it has been removed by Huawei as soon as the information has been known and it was clearly not from another provider. Let's say, that when you have an Android phone or when you have servers from Huawei you can control the bandwidth and what is getting out or not. You can make a lot of tests and see if that kind of devices are well or not so well. Let's say, in Europe we used to buy a cell phone from the US, cell phone from China and quite it's a good production of the world arise from China, okay. EL: To be controlled by Apple or others, at the end of the day I think it's a kind of a way of being very protective in the US, in Europe the market is more open and then so Huawei has the right to play and I think that they should have the right to play in the US too because at the end of the day and there is a lot of Chinese cell phone who are available in the US. I perfectly understand that Huawei could be for America could be a perfect representative of China and maybe Chinese government in the mind of Americans. But in Europe right now, what is a difference for us with the Cisco and several phone Huawei when you get information that Cisco can have done some things for the US certainly maybe Huawei has the same thing from China but right now if you servers if you control the bandwidth if you look at everything goes out and in I think that the market should be open. JBS: Right. And you're right, most of the cell phones today are made in China. The iPhone is made in China and I mean Motorola is owned by a Chinese company Lenovo and Nokia is made in China. EL: It's now a Chinese company too. The difference with the iPhone is the software inside comes from Apple and everything is controlled by Apple again. Okay, so it's different from all the others but I don't get a differentiation between all the other Chinese cell phone and the Huawei cell phone. JBS: And that's a great segue, Eric. So let's move on to another main news of the past seven days and that was the launch of the iPad 6, the new iPad from Apple and from what we've seen it's pretty much like last year's iPad, it's the same design, same price at $329. Yes, a better processor and the support for the pen the stylus that you were talking about but I mean we thought it was quite disappointing coming from a company like Apple that has so much resources and could have used that to be more innovative. And for that price I mean $329 for half of it you can have an Amazon Fire HD 10 tablet $450 and I believe you have some Amazon devices as well. A little bit of what do you think about this new iPad 6? EL: I think about the improvement in the A10 will give the new iPad design about two or three years of being able to run any kind of apps even 3D apps and then the stylus pen is a good idea. So the whole idea of Apple is to say that they want to sell it for schools, right? And so they have improved and create some software to control as a classroom and things like that. So I think they've spent some cash in creating software's and adding the stylus give them the capability to have the tablet who is now useful for students or kids at school. I really think that they just do this in that way but the problem is you need to buy a keyboard or it will not be as good as that for some usage and then you will certainly need a case to make it strong enough for kids to use it. Price would be maybe around $400 or 400 euros or 450 euros and when the price start to be I'd say a little bit higher than expected for school but if you think that for school, for students, or for kids I think it's a cheapest tablet with the best processor today. You can have other things for sure but just the Chromium maybe or the Chromebook would be in competition with it nothing else at school and everybody will want to have an Apple instead of a Chromebook. JBS: Yeah, indeed. My kids are in elementary school here in the Cupertino school district and what they want is an iPad it's not the Google Chromebook! EL: And we have just for this, sorry for about small ads but we just released Qwant Junior who is the search-engine for kids no violence and no added content for sure and it works as an app and it will work super well on that happily new tablet. Yeah, if you think for school kids and student okay but I don't know if you have tried it depend on that new tablet if it's the same on the iPad Pro. JBS: Are you saying it's not the same? EL: No. I'm saying that as a result is when you try to use it it's not as smooth that on iPad Pro so it's okay it's great but it's not as cool as on the iPad Pro. JBS: So last piece of news on the smarpthone side of things is this here is the ZTE another Chinese company launched their first I mean the first Android Go phone in the US and that's at $80 I mean so far it's unheard of, that's ZTE Tempo. So Android Go is kind of the low-end of Android operating system for low-end phones well again low-end hardware that ZTE Tempo it has a 5-megapixel camera now you're not talking about the 40 megapixel of the Huawei P20 Pro it has a very slow Qualcomm processor. I mean especially in our markets and developed markets is there a place or a niche for those kind of very low-end phones? Have you tried the Android Go compared to the other Androids? EL: Well, in new market I don't know, what I know is in India or in the North of Europe or where you don’t have the connectivity or for older people or for very poor people with small usage of the cell phone there is a huge market. Android Go is in just to compete with KaiOS. Do you know KaiOS? EL: Previously it was a Mozilla OS, it was Firefox OS. It has been booked by a company then it create KaiOS and they started to make it for India for, you know, like all Nokia style cell phone even with real button and there's a touch screen. So it's really otherwise to be used on the same kind of cell phone runs Android Go and we are talking about maybe a market of 500 million cell phones. So even if it's just for 5 million people and you imagine at $80 you can have a cell phone who works even if you don't have all the feature you can call, you can go to Internet you can do several things. And if you use your cell phone with a very simple usage and especially maybe in the US if you don't have a 3G, 4G plan with whatever you want to use, whenever you want to use it then as a second cell phone it could be great. And it could be very useful if you want to give out to let's say ten thousand of your employee if you have for example travel company or if you use it for example to track your home probably or to help making some delivery. There is a lot of usage for a very low-end cell phones with capabilities of example reading QR code. You can do a lot of things and when it doesn't cost a lot. There is a lot of possibility now to found a niche in the market. But if you think about the world, if you think about India, if you think about Africa then if there is more than a niche we are talking about Android and Android millions of users. JBS: Right. You're absolutely right, I mean that's in our markets in the US in Europe especially Western Europe I mean that's definitely more of a niche but you're right I mean kids, older people, or even companies that could just give it away. Are there any Android Go phones in Europe so far? EL: I haven't seen them yet. I haven't seen none of them but there is already some KaiOS fun made by Nokia and others and who are now released on the market. It's funny because we were in competition with Google to be the search engine on what kind of fun but they use the subtle way of obliging people to choose them. But it's very interesting to see that they don't want to lose that kind of market because really you will see we are talking about a lot of people who will want to come back to something simple sometime. JBS: Right. Great. Let's switch gears and talk about apps. And the first topic is there's a company called Appfigures they publish some numbers about the Apple App Store and it's from what they're saying it seems that Apple is cleaning up the App Store and for the first time ever the number of apps in the AppStore Frank and for about a hundred thousand apps that Apple deleted and that's mostly old apps that were not built on 64-bit architecture that was no longer compatible with newer phones and then there was new recent review guidelines that those apps didn't comply with. They also got rid of virus scanning apps and as well as some of the clones their apps I mean it's incredible that they were there I mean the apps that were just clones of other apps and just bad quality apps. I mean you're building apps for the Apple App Store and Google Play. What do you think about this? It was about time for Apple to clean up a little bit of that. EL: For sure but I think it's a good idea. I think it's great because first of all, if you create up and if you create real apps, use apps, you want to make them, you want to update them you want to make them better and better, right? So 90% of the apps was been deleted there the apps was not even good for any kind of new cell phones. Maybe the only problem with that kind of action could be for people who still have an older iOS version and an older iPhone where some apps are available and still working and they will not be able to use the new ones. I will say that it's great when you remove apps work who are crops, it's great when you remove apps who was, let's say, a very bad quality. I think it's not so cool if you remove for example an old version Bosa for example because you can have some Bosa 1 not compatible with the old version of your cell phone, right. At the end of the day, even if everybody wants to have the new cell phone every year or every six months we should found a way to make a discrimination between apps who are a version for old cell phone and apps who are crops or just apps with malware because from time to time some apps are just there to take some of your data. And so I think that what Apple has done was great. I really think that we should have the right to get some apps for your cell phone even if your cell phone is two years or three years old. JBS: No, you're absolutely right again, because I have the first generation iPad and a lot of the apps are not compatible. A lot of the new apps are not compatible with my very old iPad and it's true it's frustrating I just can't do much. I mean I've it's not that I'm using it a lot it's more of a hand-me-down to the kids. But it's true I mean aside from the browser that is included with the iPad there's not much they can do. JBS: Now, let's switch gear again and let's talk about one of the app that we've seen that we thought was a great app it's called EmoJam. It's actually an app that creates emojis with music and so most of the time when you receive, so it's not like the emojis the new emojis on the iPhone X or Samsung S9, Galaxy S9 where you see all those 3D gestures and so on. That EmoJam actually is working with music labels to add music. Let's say, the Beatles so I would send you an iMessage and then you'll be able to listen to that Yellow Submarine and with this moving emoji. Yeah, we thought it was quite innovative it's a small start-up out of LA and, yeah, it was it was fun. I mean the emojis seems to be having a second life with all this the new smartphones. EL: When you just add a small thing to add all the idea you can make it even was more fun, right, out of it. I really think about it it's a good idea maybe they can add other things too I'm sure but the next guy will start now playing with emoji not only with visual emoji but maybe with the sound and maybe it's more with the fact that you will be able like you see today is a 3D even they were certainly add your voice. And so emoji they would be a very interactive. JBS: Yeah, yeah, totally. I don’t know I mean do you spend a lot of time with emojis? EL: Well, like everybody you had some of them to your text, right? But the very interesting idea in this now you can add your face recognition or things like that. If you think about it tomorrow it could be a boat inside of your emojis, so you can have some music this is some discussion with it and even your answers can be translated in emoji. So that's cool let's add things and then it's fun. JBS: Awesome. So let's end up with a more serious topic and that's security and there are two security companies a Kaspersky and Trend Micro. They found Android Malware, so a malware for Android there's plenty but these malware, these bad programs what they do is they use the resources of your phone, the processor to secretly mine for cryptocurrencies its Bitcoin and other. Not only they do it and without you knowing but they're just using the phone and to the point that it overheats and there was even one of the malware that almost make the phone explode because the battery is so hot that it bursts outside the phone. I mean you've obviously you've built, you've tested all those phones, you build apps yourself I mean security that's really important and how do you see security on Android versus maybe iOS I mean it seems that we hear about a lot of viruses and malware in Android and not much on iOS. EL: I will say that as a way to be able to be on the Apple Store it's very more complicated than the way to be available on the Android. We say that the tests are not the same and the security tests are really not the same. On Android, you can say that some people use the stores who are not as one delivered by Google. So the problem today is we were talking about removing 100,000 apps who are crops or not good for the new phone that's great. I think that we could remove 30% of the apps on the Android market who are they are just to get your data or use your phone in a very different way of what they say they will do. So you think you download a game and you end up with something who takes your contact and all your information. And in that particular case, it's very strange because it's something who is a record. In November 2017 you get the same thing with Trend Micro explaining that some apps are doing cryptocurrency. EL: Mining on your cell phone but it's not so complicated the way they do it is they call the GS on the website of the people who want to use your cell phone. They take the key then they create, in fact, they are launched on your cell phone in a kind of web view who is not available on the screen. That kind of things should not be available. As soon as something is using your battery or your cell phone or your resources like crazy you should know it. But the problem of Android is 90% of the system is using your stuff like crazy to get data to send it to get it elsewhere. So in that particular case, they are just stupid, you know, to go to the maximum usage of the CPU GPU and the battery but that's just totally stupid. But the truth is it should be tested it's not so complicated to see that an app start something elsewhere bring something there and start inside of your cell phone to do something we found being on the screen. So security should be a real concern of people who take care of stores and the very good thing here in Europe you have the new GDPR laws Data Protection Law for citizens and customers. That kind of application with something who is absolutely out of the law as to pay a lot if they are caught and it would be 4% of the turnover. Well, you can be responsible for sure and these people are subtly hiding in countries where it's difficult to get them. But the people who provide the apps can be caught, for example, the Cisco if they haven't done a good job of trying to see if something is malicious you can catch them too. So I think that in June or July and I opt it people start to look at customers not only like you know kids will just click on apps and get something and pay for it and then have no security no guarantee of nothing. So we should think about bringing back trust, trust in applications, trust in our systems, trust in everywhere. It's difficult it's not simple but there is a one way is to not download what you don't know and what you don't trust and stop clicking on apps. It should be good because if you don't see them on, let's say, news like your podcast then it could be a problem. But again, Android and Apple we say the difference is Apple is taking care of that kind of problem but doesn't mean it can't happen to them but it will be very difficult in Apple to try to dig without Apple knowing it very quickly. JBS: Awesome. Yes, and to be sure GDPR is something that is concerning a lot of companies here in the US and I can tell you that many companies especially software and SAS that are collecting data they're not ready and they sure are having some issues to be compliant and they're pretty very very concerned about what's going to happen after June. On that note, well that's it for This Week In Mobile. Thank you again, Eric, for coming. EL: Thank you and sorry for my fantastic Frenglish. JBS: It's great. You've been so good that you're invited to come back next week. EL: Thanks a lot. Have a good day.